Flashy by design! Build student confidence and skills using fun-filled flash cards. 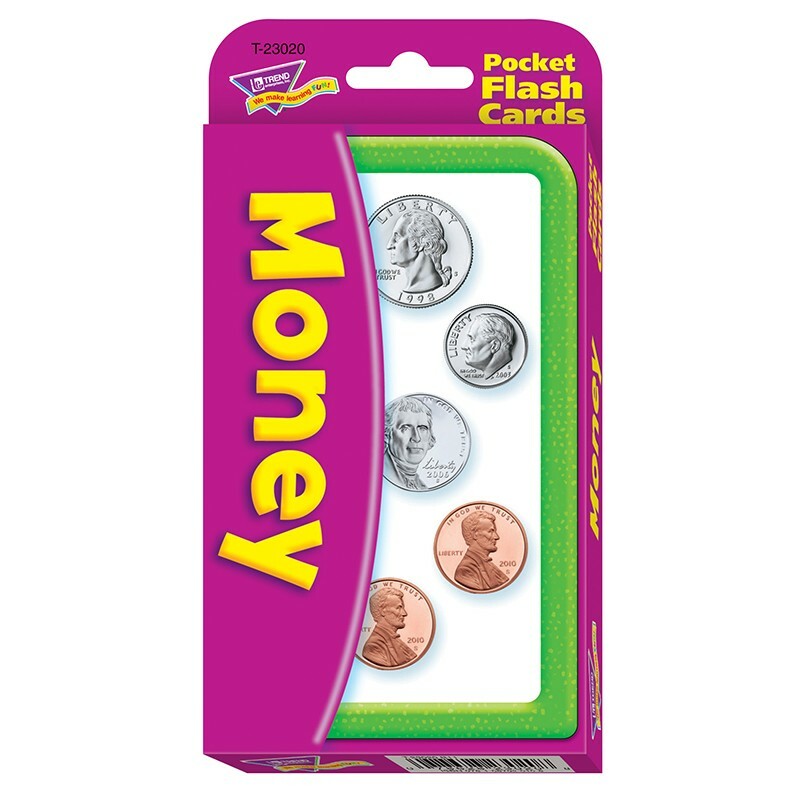 This pack, complete with activities, uses photos to show U.S. coin value. Number and word equivalents on back. Watch students enjoy learning and build skills on their own or with friends... at school, home, or on the go! Durable, no-see-through cards with quick-sorting, rounded corners. 56 two-sided cards, 3.125" x 5.25". For ages 6 and up.